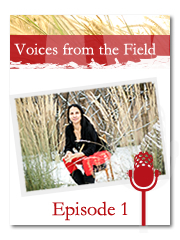 The Voices from the Field, a podcast series produced by the National Collaborating Centre for Aboriginal Health (NCCAH), focuses on innovative research and community-based initiatives promoting the health and well-being of First Nation, Inuit and Metis peoples in Canada. The webinar resources from "Two Spirit! Let's Hear It! - An Introduction to Two-Spirit Health", delivered by Dr. Sarah Hunt on April 12, 2017, are now available online. Please follow the links listed below to access these digital resources.